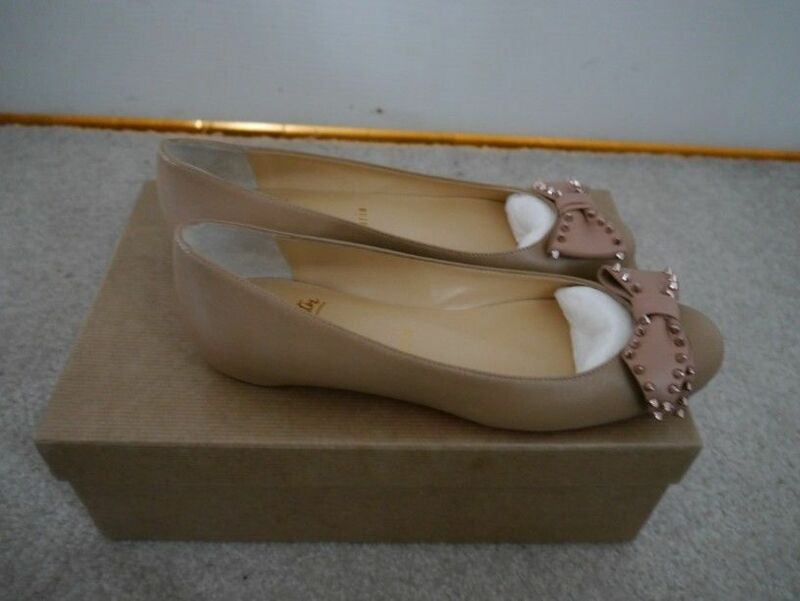 $498.00 This item is selling for $498.00 on eBay. 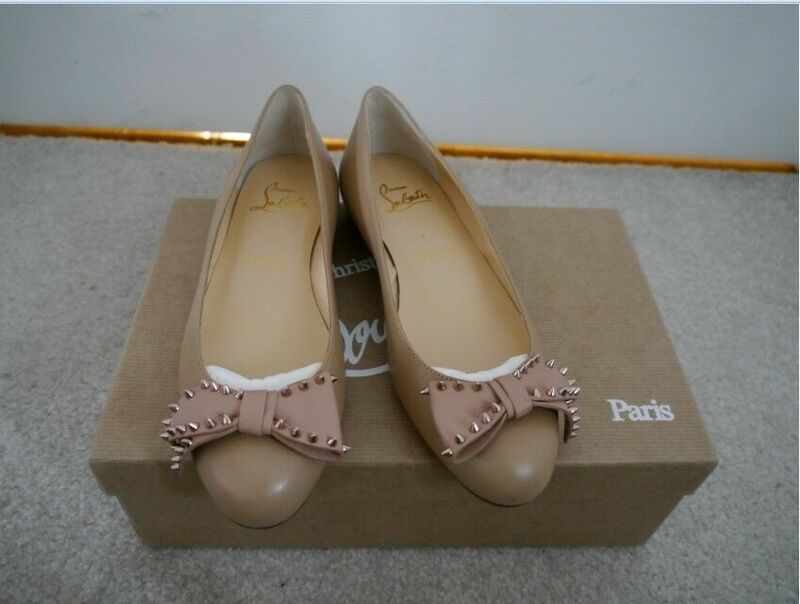 Christian Louboutin smooth leather ballerina flat. 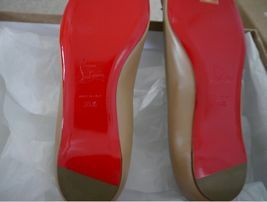 0.3" flat heel. Spiked bow on almond toe. Rose golden hardware. Slip-on style. 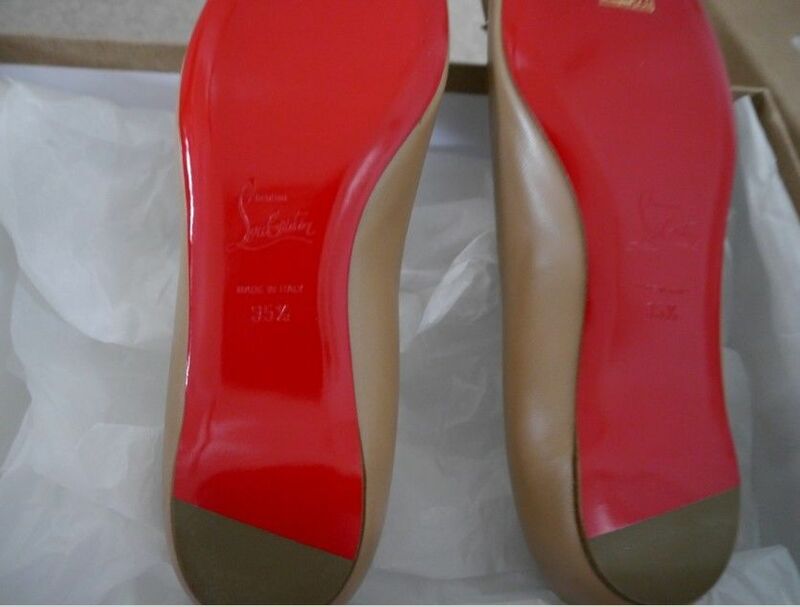 Signature red leather sole. 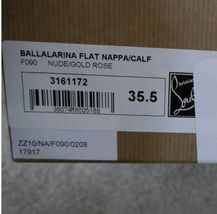 "Ballalarina" is made in Italy. 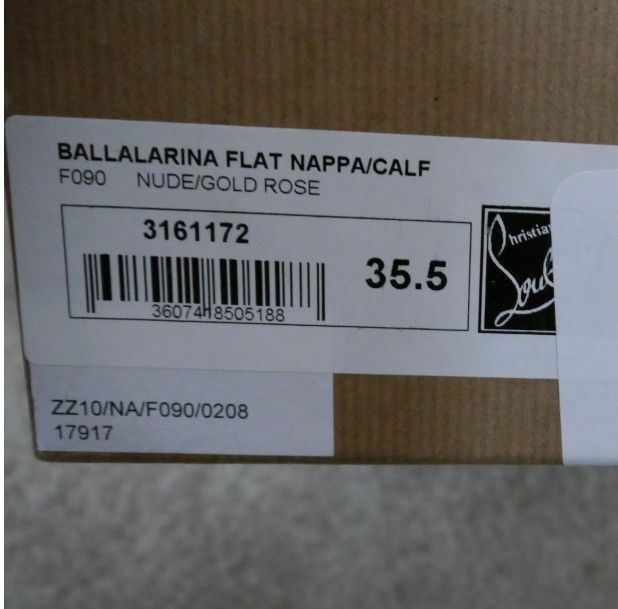 SIZE:35.5 RETAIL PRICE:695TAX NEW IN BOX WITH DUST BAG I do my VERY BEST to describe my items to the best of MY KNOWLEDGE however I AM ONLY HUMAN AND DO MISS THINGS on occassion but it is an OVERSIGHT OR I JUST DONT KNOW ENOUGH ABOUT THE ITEM, as i try to be as honest as possible. please do understand even regular price items are not in perfect condition sometimes.so,it is normal discount items have flaws sometimes.I will try my best to take pictures of the flaws and state in my listing. --------------------------------------------------------- payments Payments are accepted through paypal. Credit Card payments are processed by paypal. I do not process direct credit card payments. Please make sure your shipping address is listed correctly in your AND PayPal accounts BEFORE you make a payment ---------------------------------------------------- shipping Domestic shipping is via USPS Prirority Mail (2-3 working days) or fedex ground with delivery confirmation and signature confirmation. Items over 300 have to go with fedex ground.please make sure your address is not a po box cause fedex could not deliver packages to po box address. I generally ship within 2 days of receiving a cleared payment. If you need me to ship sooner please e-mail me. International shipping is via usps express mail only(5-7 working days). USPS Express Mail includes insurance and can be tracked online. I will combine domestic and international shipping, if you pay for your items at the same time. International Bidders, please note: Buyers are responsible for all taxes, VAT, import fees, and other fees imposed by your government. Please contact your local post office or customs office to get more detailded info.I will not lower the value on the custom forms due to insurance reasons. Post Office will only let me insure the item for the value listed. Most of our international orders will go with global shipping program.Please find the detail info in the link.http://pages.ebay.com/Help/Buy/Shipping-Globally.HTML ***In case of unclaimed packages or wrong addresses,buyers are responsible for shipping both ways. *** --------------------------------------------------------------------- Return Policy If you are not satisfied with your purchase, the item must be sent back within 14 days of receipt at buyers expense for exchange or refund. 20% restocking fee and sellers fee also.Buyers are responsible for shipping both ways. The item needs to be in its ORIGINAL condition (tags attached, authenticity cards, original box and dust bag ect.) the item must NOT have been used. Please ship merchandise using USPS or fedex with tracking number and insure the package. ---------------------------------------------------------------------------------------------------------------------------- All my items come from a smoke and pet free home. please e-mail me with any issues or questions prior to leaving a feedback. If you feel that the transaction went well, I would appreciate a positive feedback and I will surely do the same for you. Thanks for looking at my items!!! Add a map to your own listings. FREE Trial !